This is the 3rd tutorial video in a series of glass blowing basics and glass studio processes. In this short tutorial video, Bernard Katz covers what the main components are that make up a basic simple glass formula. Bernard fills the furnace with the ‘batch’ along with some recycled glass. He throws in about 50 pounds or so every 1-2 hours until the furnace is full. Filling the furnace is a process called ‘charging’. 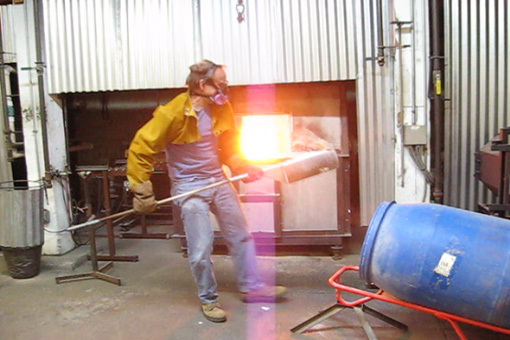 Melting a full tank of glass takes about a day while the furnace is at a high temperature of around 2400 degrees.